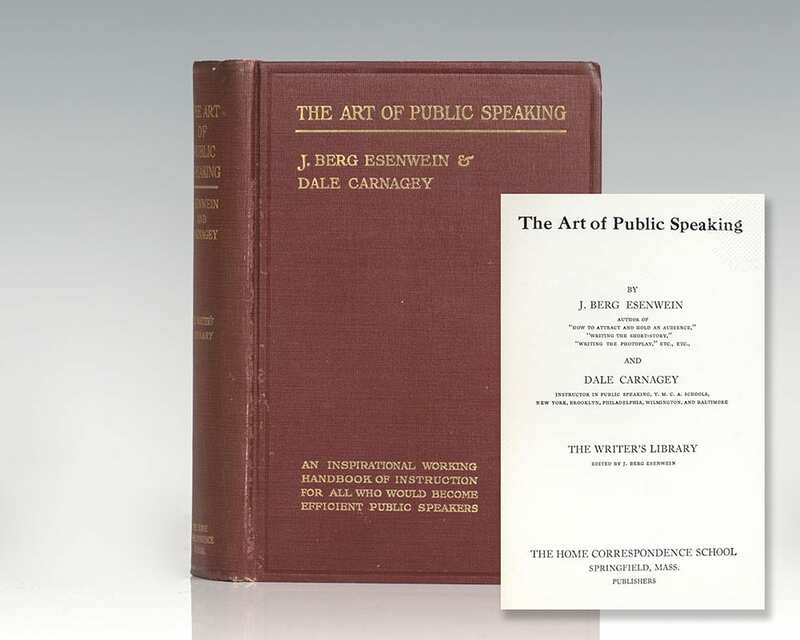 The Art of Public Speaking: An Inspirational Working Handbook of Instruction For All Who Would Become Efficient Public Speakers. Carnegey (Carnegie), Dale and J. Berg Esenwein. Springfield: Home Correspondence School, 1915. 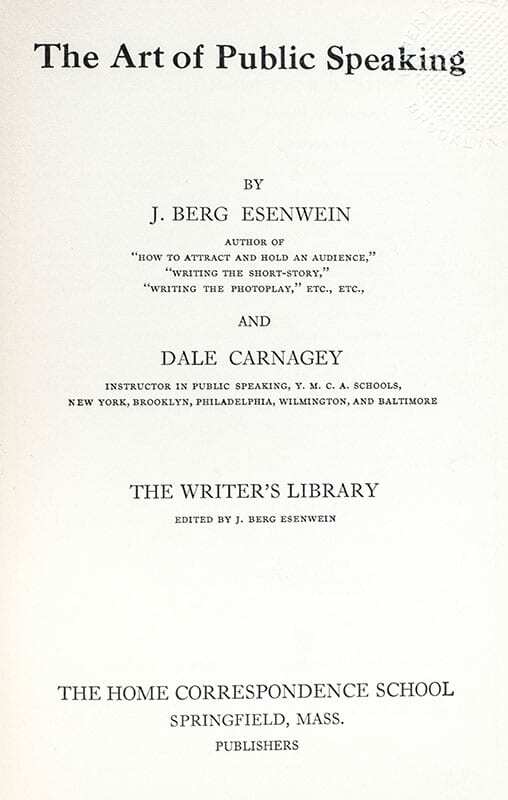 First edition of Carnegie’s pioneering work which would become the predecessor to countless self-improvement books. Octavo, original cloth, top edge gilt. Co-author Dale Carnegy would later change the spelling of his surname to Carnegie to associate himself in the eyes of the public with American business tycoon Andrew Carnegie, to whom he was not related. In near fine condition Rare and desirable. American writer and lecturer Dale Carnegie developed numerous famous courses in salesmanship, self-improvement, and interpersonal skills. Born into poverty on a farm in Missouri, Carnegie co-authored his first book at the age of 27. 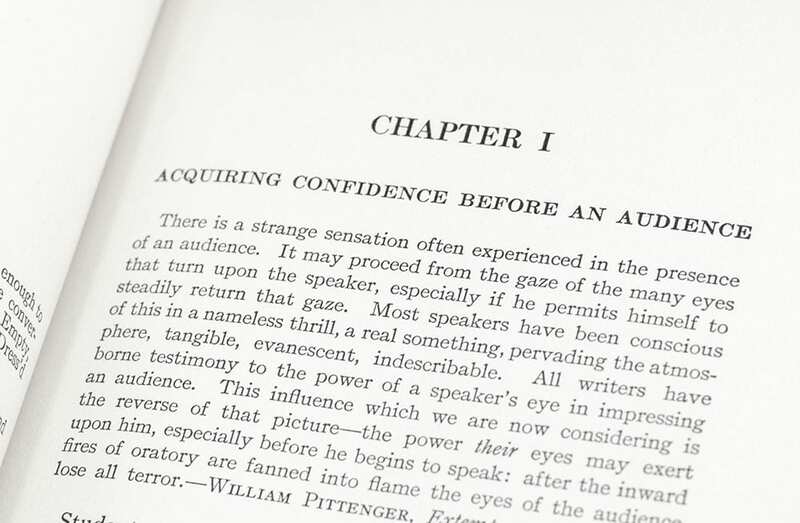 Featuring chapters on acquiring confidence, methods of delivery, influencing by suggestion, and themes for speeches, The Art of Public Speaking would become the predecessor to several influential books including Carnegie's best-selling work: How To Win Friends and Influence People.